We’re sure you’ve seen the instagram feeds – full-time RV’ers, van lifers, digital nomads -whatever you want to call them – families living and working in cool homes on wheels with ever changing beautiful views and seemingly endless adventures. Thanks to the flexibility offered by internet based jobs and schools, an ever growing number of families are choosing to live year round in RV’s and explore America. Hiring RV snow birds is nothing new for northern summer camps. A retired Marine couple worked at our camp for years. They pulled a 5th wheel RV trailer back and forth from Texas to New Hampshire each summer. They spent winters in Texas as caretakers of a seasonal RV park. During the summer, he worked maintenance and she (a Senior Olympic archer) taught archery. They did this for years until the draw of grandchildren over powered the draw of camp. While this workforce of skilled retirees is still out there and very important to summer camp staffing, a new opportunity is also out there. A quick search of social media will yield hundreds of lifestyle feeds from people living and working from the road as digital nomads in a wide variety of custom RV’s. They even have their own stylish, hip magazine – Rova Magazine (https://rovamag.com/). The common threads seem to be a belief that work can be an adventure, desire to travel and search for like minded people and families. Summer camp fills all three of these! Camp work is always an adventure. How many times in your camp career have you been asked to quickly learn to do something you’d never done or call upon a long forgotten skill to make a camp event happen? Camp offers the chance to use different jobs skills. Face it, the digital nomad is not into the traditional job cycle of picking a career, plugging away for 40 years and then trying something new. For people living and working on the road, most common work is gig economy type jobs – short term contracts or fixed terms of employment. Summer camp can offer so many more diverse jobs than just about any other industry and definitely with a fixed term, of employment. Traditionally, camp directors have relied on school teachers with summers free to fill skilled leadership positions. Digital nomads – with college degrees and real world skills – can offer a whole new source for quality, mature leadership. No brainer here…great summer camps are in all 50 states and across Canada. A full-time RV’er with say an archery certification could pick and choose a camp each summer in a new location. As great as the digital nomadic lifestyle seems, its one down side is a physical community. Summer camps can offer a happy medium. A few months in one location surrounded by people who live, work and study all over the world can open lots of doors for the traveler. Now a real, because of summer camp community can be tapped into whenever and wherever the traveler goes. The extra bonus for families living and traveling on the road is the chance for the kids to experience the wonderful relationship that camp offers. How cool would it be for the RV family and other camp families to connect during the year? 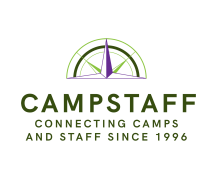 CampStaff has begun targeting potential staff living and working the RV lifestyle specifically for summer camps. Keep an eye on the seeker database for RV’ers. The work camper concept has been in existence for years and there are many job sites designed to reach this worker and we are sure innovative camps have used them. If there is a website you’d recommend, please let us know and we’ll add it to this post. Looking for a Leadership Position at Camp?